An emotional roller-coaster of originals, ballads, belters and poetic banter. Terry performs her own songs, plus a powerful program of poems, acoustic and electric classics. "Magnificent…the most truly wonderful voice." "That she is a diva there is no doubt… To say that Neason is versatile is to understate the case. She moves seamlessly from jazz to country, blues to folk... Neason is a one-woman multinational cabaret." "Her singing is quite simply beautiful and with her skilled selection of material and her marvellous delivery of prose and song, she induces a mood of delighted enchantment." "Her brilliant timing challenging all comics out in Fringeland"
‘She’s funny and powerful, young and old, tough and vulnerable; and her singing is dark and bright, taunting and tender, plaintive and radiant. She’s a virtuoso." "She has an amazing fluid voice with a range that defies physics. Rousing, Stirring, Memorable." "When God calls the blessed to Paradise on the last day, her voice will be that of Terry Neason. Both as an actress and a singer she is really rather special, an artist whose work is to be savoured and treasured for the range, depth and sensitivity it reveals." 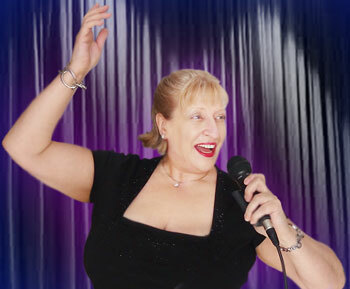 "Terry Neason is one classy, sassy entertainer. Her humour and infectious personality ensures the audience is left wanting more." "Beautiful songs and hysterical laughter. Your performance was key to the success of this light hearted evening, which our clients and relations thoroughly enjoyed. You are a dazzling entertainer with exceptional and contagious energy. It was a joy working with you." Terry sings a stunning set of Country, Folk & Blues with her fantastic 5-piece band. "She has an enormously powerful voice, but one which can also be seductively soft. It grabs and engulfs you. You can’t escape. You don’t want to." 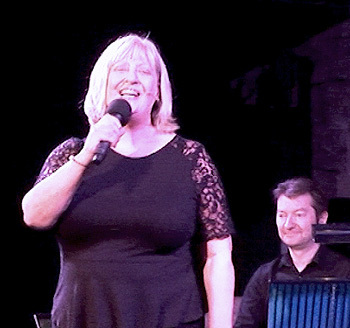 "A lady with a big voice and a big heart, Terry Neason is a total delight."